Japan’s largest airline, ANA, is to introduce enhanced catering mainly on international flights for Economy and Premium Economy customers. 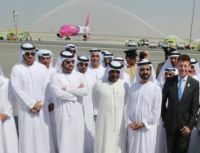 The new passenger terminal at Al Maktoum International at Dubai World Central (DWC) opened its doors for business yesterday (Sunday 27 October) with the arrival the first scheduled passenger flight, Wizz Air flight W6 2497 from Budapest. A new direct scheduled service from Humberside Airport to Copenhagen, providing the only non-stop Scandinavian link from the Humber, Lincolnshire and Yorkshire region, is launched today. 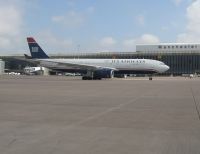 US Airways is to launch a daily non-stop route between Manchester and Charlotte, North Carolina, next summer. 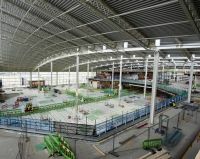 It will become operational 22 May together with Barcelona and Lisbon. A service to Brussels will be introduced on 5 June. The Hotel Félicien has opened in Paris in the chic 16th Arrondissement, on the North Bank of the Seine. The hotel has placed much emphasis on couture fashion. The interior was designed by Olivier Lapidus, famed for his avant-garde inventions in the fashion world using electronics. The curtains light up with optical fibres and the bathrooms are lit gently by optical fibre glass. 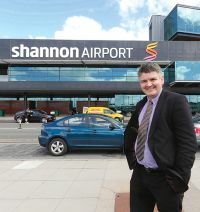 Having scaled back its business at Shannon Airport since 2008, Ryanair has announced eight summer routes for next year and increased frequency on the Stansted service. 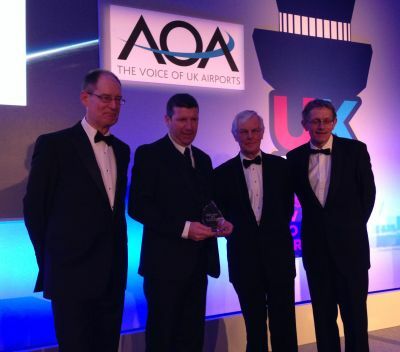 Business Travel News will make a significant statement in the next issue Monday 4 November. Now the UK’s largest airline easyJet has announced a further 10 new routes which it will launch as part of its summer 2014 schedule. The new service will operate from its Belfast, Edinburgh, Gatwick, Glasgow and Newcastle bases to destinations across the UK and Europe. France's Dassault Aviation has unveiled its new twin-engined 16-passenger business jet, the Falcon 5X, which will cost US$45m and is scheduled to make its maiden flight in the first quarter of 2015. It will compete with the outstanding Gulfstream G650, already in service, costing US$65, with more range, faster, but a slightly smaller cross section cabin. Infratil, the New Zealand-based investment company, has agreed to sell Manston Airport in Kent to the founder of Stagecoach for £1. Ann Gloag will be the new owner. Together with her brother Brian Souter they once controlled Suckling Airways (later Scot Airways), which is now part of Loganair. Disguised under the (ludicrous) title of Operational Freedoms Trial, Heathrow has published a final report on the mixed mode runway tests which took place during the summer. Heathrow operates at nearly full capacity and is much more congested than competing major international airports. Any disruption to schedules can lead to late-running flights, inconveniencing passengers and planes burning more fuel. bmi regional is to introduce a double daily service between Newcastle and Brussels International on 3 March. Flight time on a 49-seater Embraer jet is just 75 minutes. 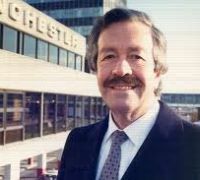 Sir Gilbert Thomson, who has passed away at the age 82, was Chief Executive of Manchester Airport from 1981 until 1993, a period of rapid expansion during which the airport became the commercial gateway to the north of England. In its report “A World Class Rail Link for Stansted”, the body proposes plans that could cut journey times on the Stansted Express to below 40 minutes, as well as halving its delays. Often called “The Stansted Slow” the train currently stops twice on the journey between the airport and Liverpool Street station near the Bank of England. Whilst the Tottenham Hale Underground connection is essential for passengers requiring the Victoria Line the standstill at either Harlow or Bishops Stortford are purely for local use. It was once called BAA, a non-descript acronym which only meant something to those with long memories. It served its purpose. Now renamed Heathrow Airport Holdings Ltd, it also owns Aberdeen, Glasgow and Southampton airports, which one assumes will be put up for disposal at some point. 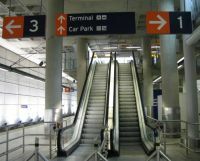 The sale of the Luton Airport operation (see BTN 5 August) is progressing, but perhaps not at the speed first anticipated. Ben Gurion Airport Tel Aviv is the latest target of Norwegian Air Shuttle from Gatwick. 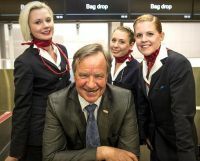 The airline plans to link in with its twice from Stockholm 14 April. InterContinental Hotels Group (IHG) continues to expand in Russia and the CIS. 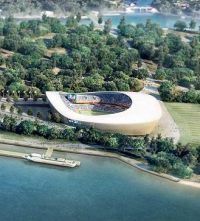 With the signing of three more hotels in the region, Holiday Inn Express – Naberezhnye Chelny, Holiday Inn Express – Samara and Staybridge Suites – Baku, IHG has 19 hotels (5, 283 rooms) open in Russia and the CIS with a further 10 hotels (2, 644 rooms) in the pipeline. 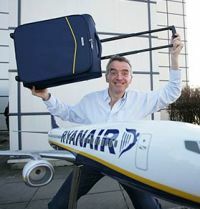 Michael O’Leary announced at the AOA Conference (see below) a whole raft of policy changes by his airline as part of the “Friendly Ryanair” policy. Assuming that the Chief Executive sticks to his intentions (which could be questionable) the old Ryanair, “The world’s most annoying airline”, could be a thing of the past. 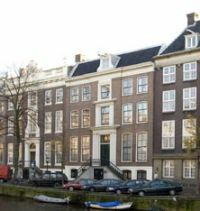 Amsterdam is to have a Waldorf Astoria with an opening date in Spring 2014.